With the world getting more advanced and fast-paced, the expectations have also increased. Consequently, the competition to be on the top of the game is forcing people to resort to stressful living. In the race to be on the peak, health is being neglected by most of the community. Healthy living and stress management go hand in hand. The best practice for you to manage your stress is never to forget that – In the best or worst events of life, you might not be able to achieve the intended goal of your life if your health is not up to the desired standards. Secondly, balanced diet might seem like more of a dietary requirement, but your overall health depends on what you consume and how you consume it. Too much of one particular dietary substance can have negative impact on the health. You might think you are doing good to your body by eating less, but the key is to eat good and complementing it with appropriate physical exercise for your best health. Moreover, your health and peace of mind will be certainly restored if you try to do good for the people around you. Giving back to the community in your own capacity reinstates the purpose of your life. The satisfaction gained from such work helps you to have better perspective of life. As mentioned previously, merely eating less is not recommended, but you must have some physical exertion for the benefit of your health. A regular walk, workout, aerobics, or any activity that might take the pressure off you is your best-bet. Not only will that keep your stress levels down, but also restores the active lifestyle and health for you. Those who think that they are not healthy due to overweight, they should get in contact with some good nutritionist and never try to plan their own diet by eating less. Nutritionists always suggest the best mix suitable for your body. They would not recommend you to starve but suggest right amount of healthy food. 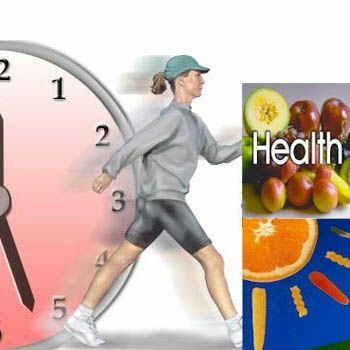 For maintaining health, good food along with right quantity and timing is highly important. Laughing and staying happy might sound a cliché, but it works well for everyone. Happiness can neither be bought, nor be sold – so, create that for yourself in little or big things. Life is to live! And to live healthy.